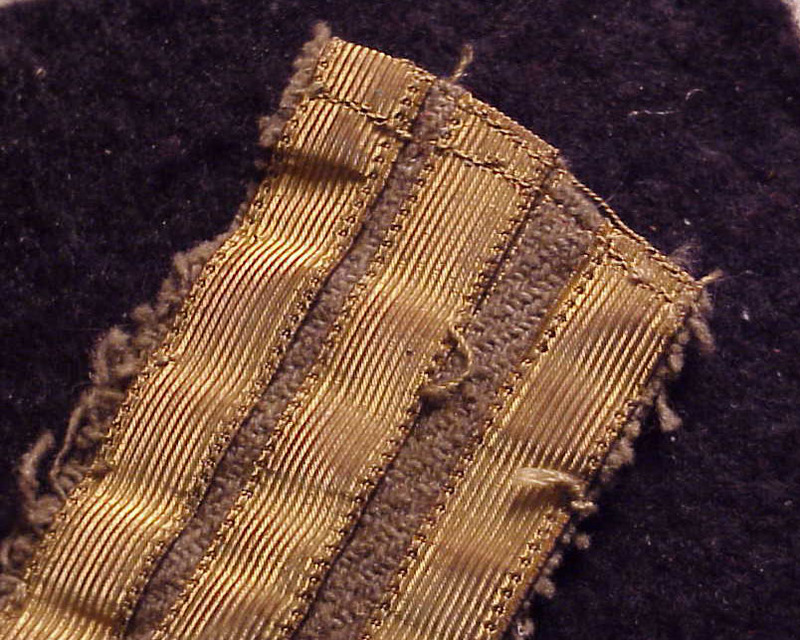 This is a Civil War era sergeant chevron built of gold fabric tapes upon a butternut type of cloth. 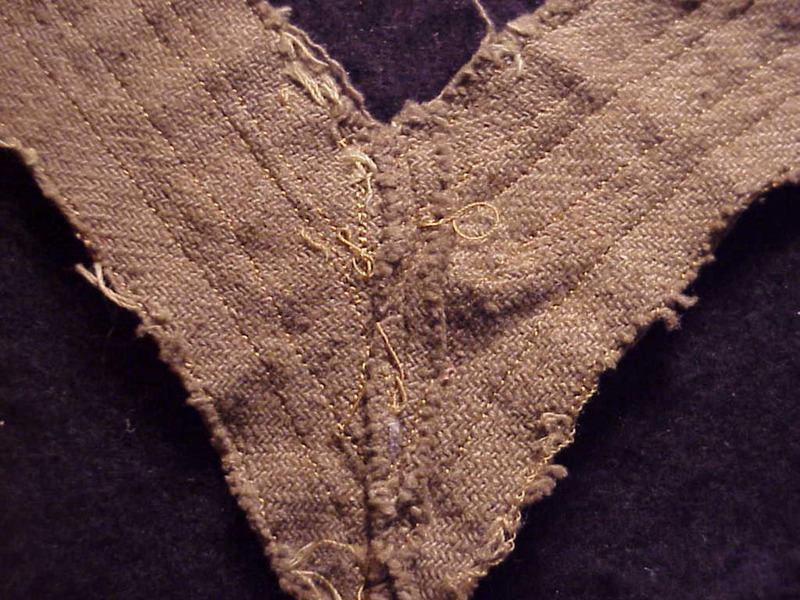 It was kept in personal collection of Ellen F. Palmer, a young woman in Worchester, Massachusetts during the Civil War. 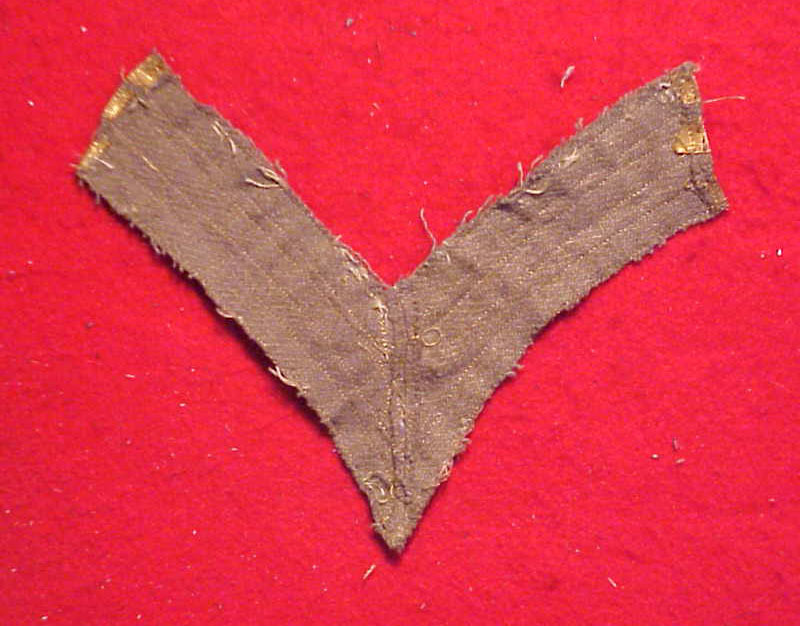 Her father owned a leather and harness shop near the John E. Wool military camp. It was located near The old Mechanics Hall where many officers' portraits were hung. During the 1860s, there were many banquets, balls and socials between troops and local citizens. Ellen attended many and became lifelong friends with soldiers, even into their post-War GAR veteran days. Some regiments were the Mass 15 th, 25 th and 51 st, but there were others. 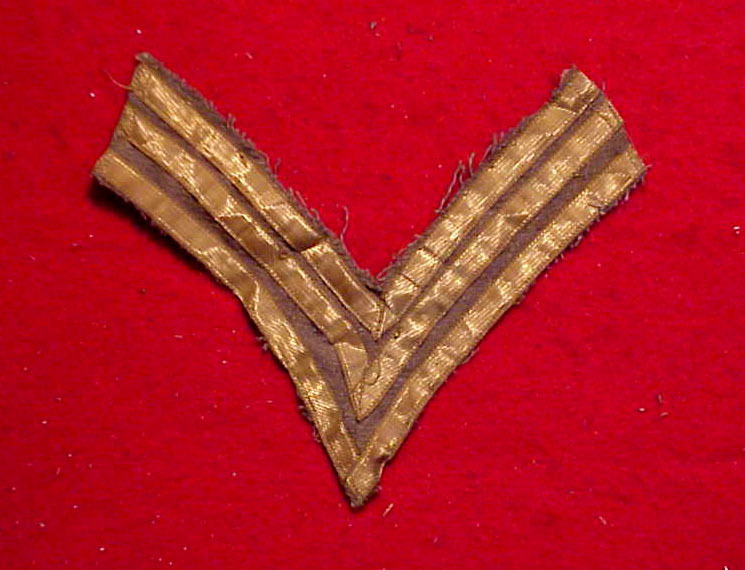 Ellen was given mementos by troops over the years. 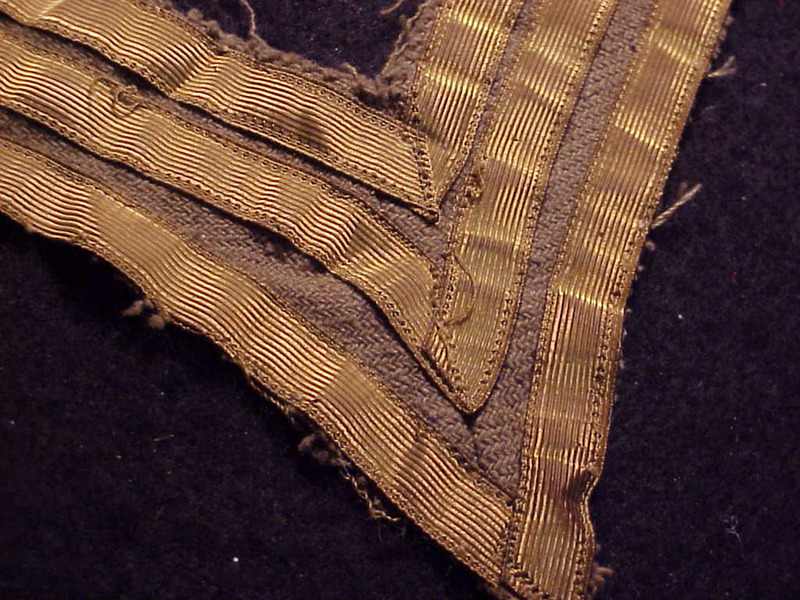 This gold tape chevron on butternut cloth was in her own collection from such a presentation after the war. Ellen died about the time of World War I. This chevron was passed down through her family with these facts. It measures 8" across by 6 1/4" and is quite intact. Housed in a glass front Riker Case for safe & easy future display. 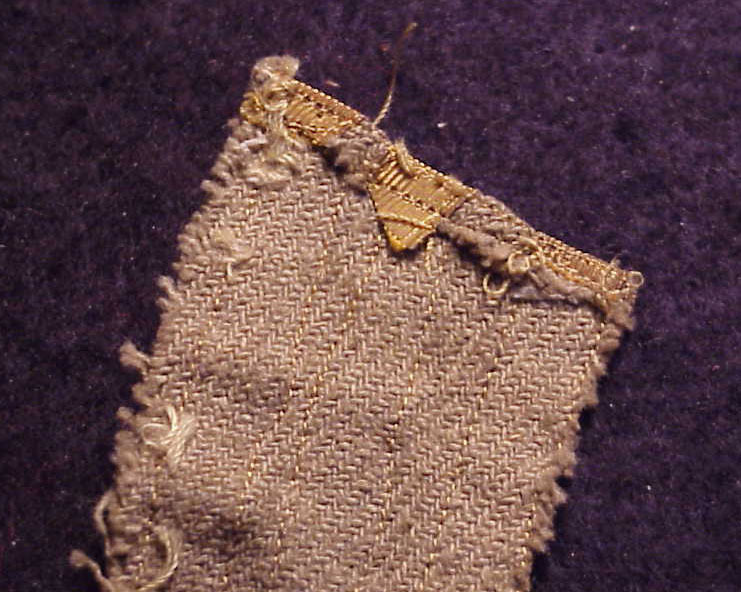 Although I cannot prove it, the butternut cloth, materials, stitching, all suggest a possible Confederate Army heritage. 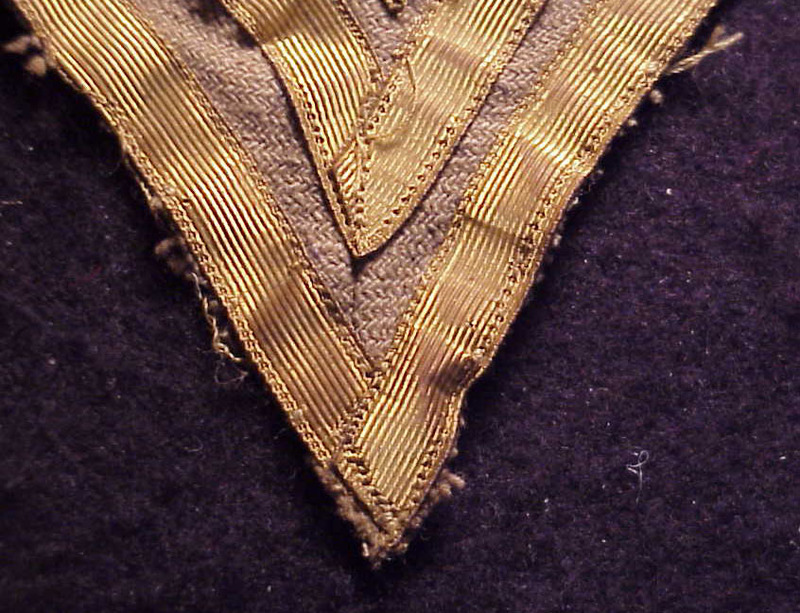 It may have been a war souvenir carried home by a Union Massachusetts soldier and given in his old age to Ellen for safe keeping.